The gift that will be appreciated by everyone around the table this holiday season. Fresh Olive Oil and Cask-Aged Balsamic Vinegars in various configurations, and boxed presentations. We have assembled some of our finest products this year for the most discerning palate, for the novice, and for the connoisseur. Great for family members, work associates, staff, corporate gifts, and hostess gifts! New Harvest Oils now on Tap! 2017 Harvest - Southern Hemisphere. 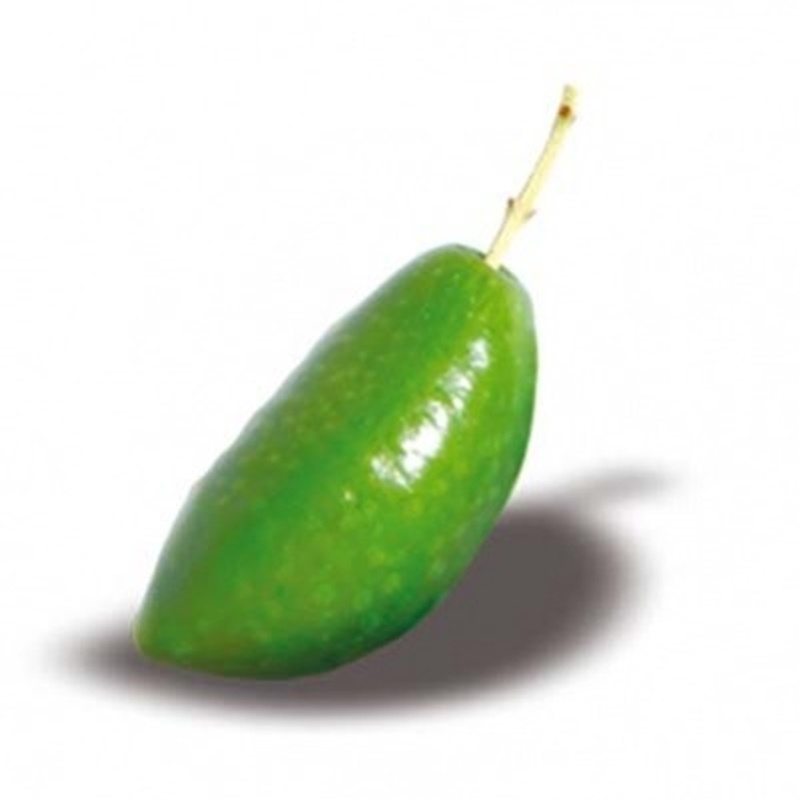 A unique and special olive oil that is perfect for the summer! Unlike other smoked oils, this unique creation is a marriage of Ultra Premium certified Extra Virgin Olive Oil and the rich woody flavours of smoked Olive Wood! Great with potatoes, meats, pasta, pizza, veggies, and much more! Smoked Olive Wood Infused Olive Oil. It was a difficult harvest season for many producing regions this past fall, but we are extremely impressed with the selection of Ultra Premium quality olive oils we are able to bring to your tables! With a selection of classic varietals, an organic Koroneiki, and a new Chiquitita, this line up has something for every palate! New Harvest Oils 2016. 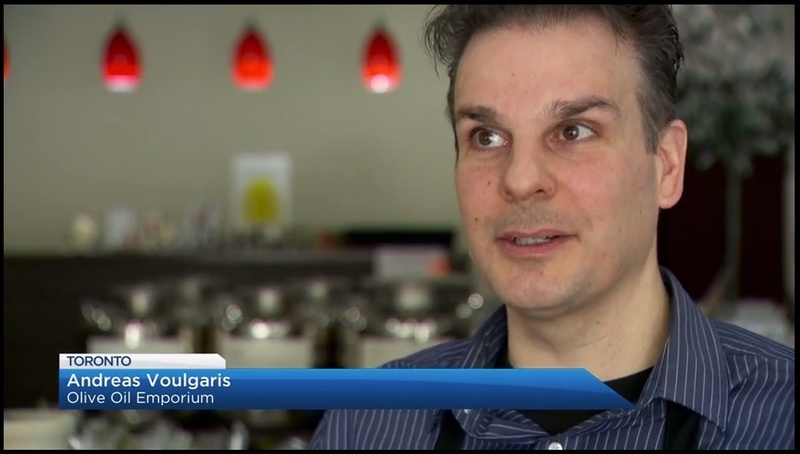 Olive Oil Emporium's Guest Appearance on Dishing with Demontis! Tune in to Sirius XM Canada Talks channel 167 and listen in as Andreas Voulgaris talks Olive Oil with Rita DeMontis! Thank you Rita - it was wonderful meeting you! The first oils of the 2015 Harvest from the Northern Hemisphere are now on tap! Come in to sample the freshest oils available. Come in and experience award-winning, fresh, and always Ultra Premium certified extra virgin olive oils. For more details and to get your fresh bottle delivered to your door click here: 2015 New Harvest Oils Toronto. The first oils of the 2015 Harvest from the Southern Hemisphere are now on tap! Come in to sample the freshest oils available. Come in and experience award-winning, fresh, and always Ultra Premium certified extra virgin olive oils. For more details and to get your fresh bottle delivered to your door click here: 2015 New Harvest Oils Toronto. Olive Oil Emporium Expands! Location #2 Now Open! Come visit us at our second location in the vibrant Wychwood Heights neighbourhood. Located at 659 St. Clair Avenue West, our new location brings the freshest Ultra Premium certified Extra Virgin Olive Oils and cask-aged balsamic vinegars further across the Toronto area. The first oils of the 2014 Fall-Winter Harvest from the Northern Hemisphere are now on our shelves! Come in to sample the freshest oils available. From the award winning Spanish producers Oro Bailen and Melgarejo we have a stunning Picual and robust Hojiblanca. We also have a mild, buttery Arbosana from California and a rare limited harvest of a Californian Kalamata with a crazy polyphenol count of 596ppm! For more details and to get your fresh bottle delivered to your door click here: 2014 New Harvest Oils Toronto. More arrivals en route from Greece, Italy, and Portugal - stay tuned!